Glaucoma is an eye disease that causes chronic, progressive optic nerve damage following a characteristic pattern with excavation of the optic nerve and visual field defects among others. Given its hereditary nature, family history is very important. Unfortunately many cases are without symptoms, and when the patient notices visual loss, it is usually a very advanced case. That is why it is said that glaucoma is the “thief of sight” or “silent blindness.” Early diagnosis is essential, which is often done by checking eye pressure during a checkup. 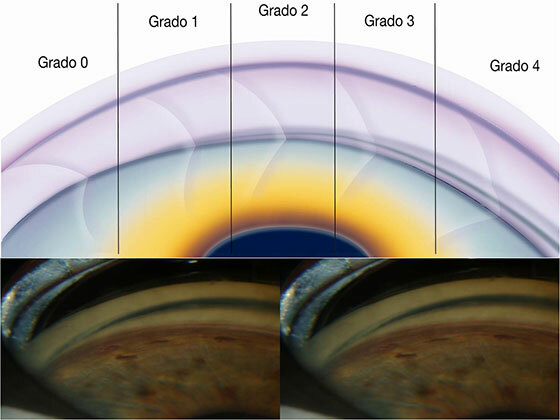 To diagnose it, the intraocular pressure, corneal thickness, visual field and optic nerve must be assessed. The uvea is one of the internal layers of the eye (between the sclera and the retina) and includes the iris. Diseases affecting this structure can have effects on vision so it is very important to have a correct diagnosis and treatment of these diseases known as uveitis. Uveitis may be anterior, intermediate, or posterior. They require individualized treatment and close monitoring.